We are a family-owned brewery, located in the heart of Sonoma County, California. 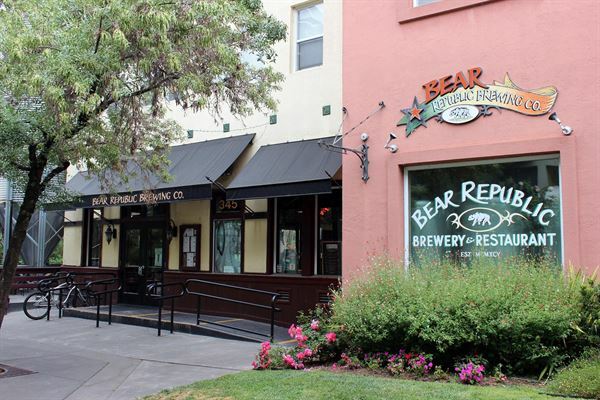 The story of Bear Republic, like most other craft brewers, begins with homebrewing. It was the spark for our passion to create quality, hand-crafted beers. From brewer to bottler, everyone that works (and plays) together at Bear Republic is dedicated to bringing you fresh, never-filtered craft beer. Our original brewpub in historic Downtown Healdsburg can accommodate up to 200 guests for your next special event. Celebrate with us and enjoy quality, handcrafted craft beers, locally produced artisan cheeses, charcuterie plates, signature burgers, salads and more!